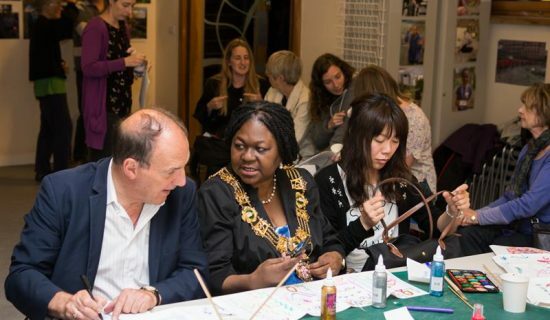 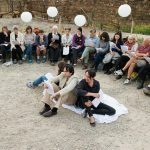 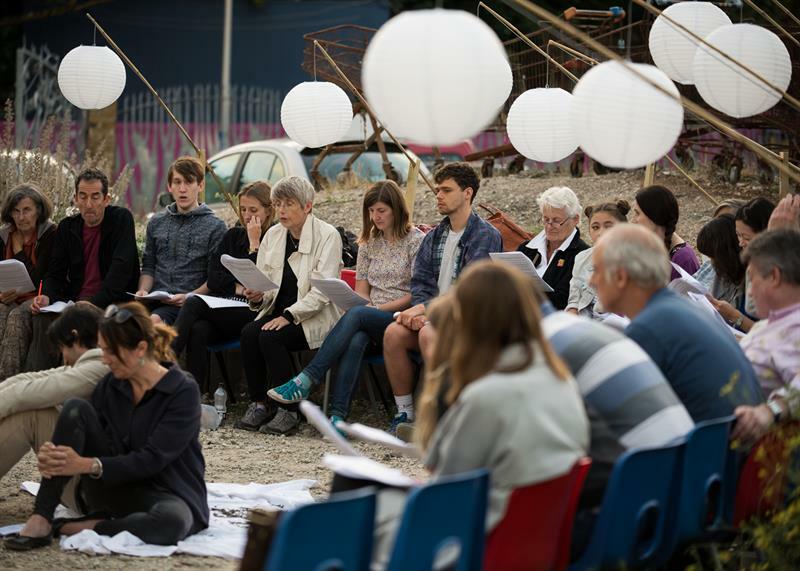 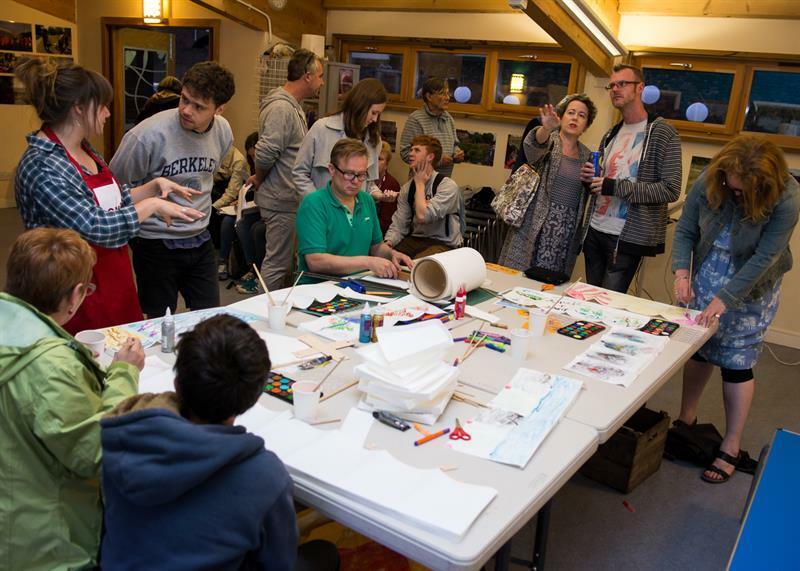 Members of London Bubble Theatre and local people took part in a public play reading, held on Thursday 6th August 2015 at Creekside Discovery Centre to commemorate Hiroshima Day, on the 70th Anniversary of the Atomic bombing of the city. 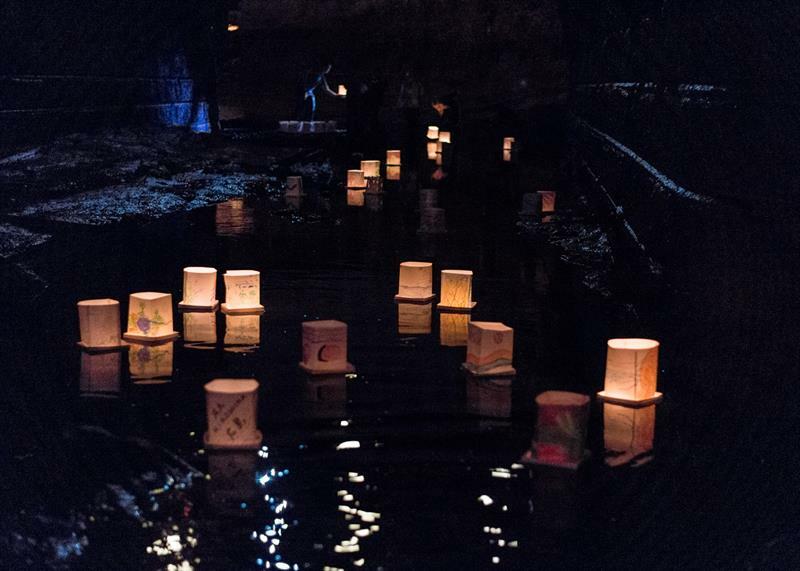 A lantern making workshop accompanied the reading, with the lanterns floated in the creek at the end of the evening. 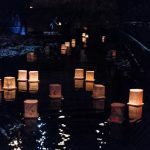 This reading was part of Hiroshima Dispersed, which saw 7 countries, (signifying the 7 rivers of Hiroshima) hold public readings of ‘Grandchildren of Hiroshima’ and inviting their communities to remember the impact of the day, 70 years ago. 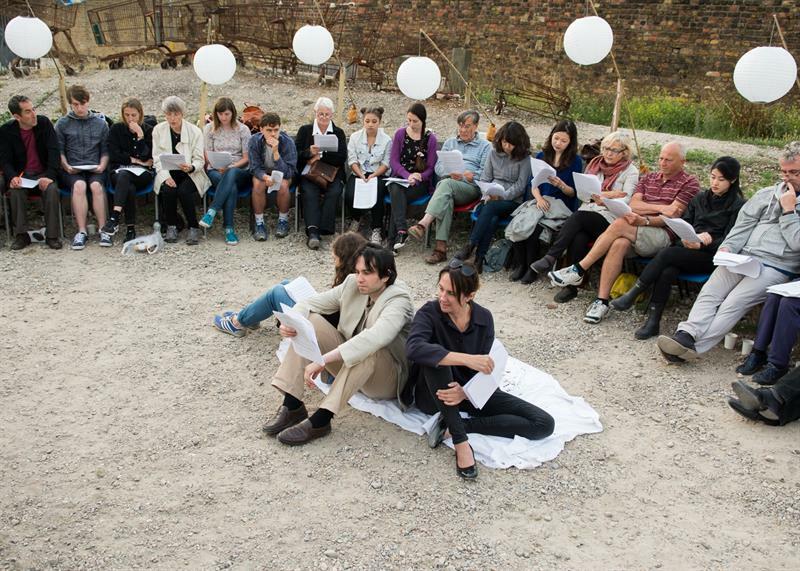 The play was read by communities in India, South Africa, Belgium, Philippines, US, Palestine and UK. 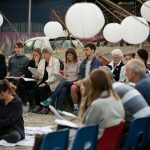 ‘Grandchildren of Hiroshima’, co-directed by London Bubble’s Creative Director, Jonathan Petherbridge, was performed in Hiroshima by a community cast on 6th August, and will tour Tokyo. 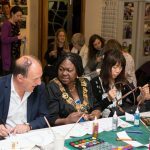 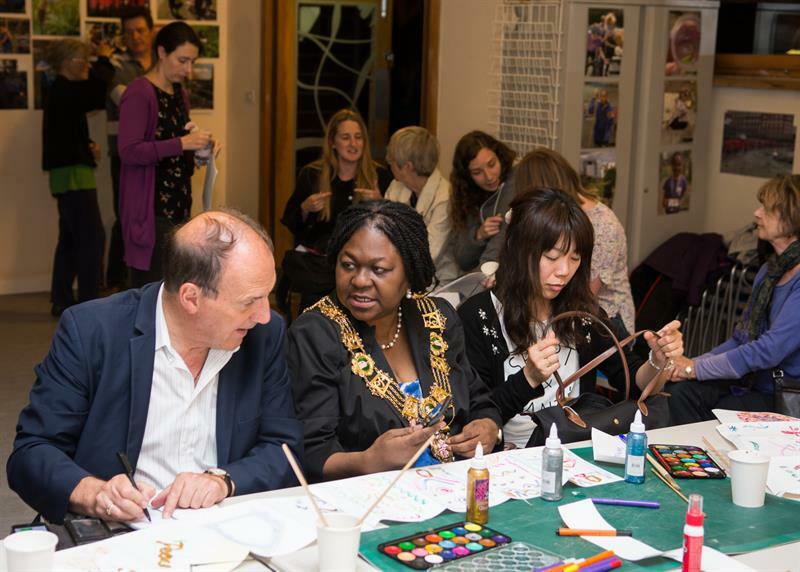 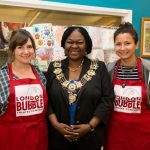 It will be the culmination of a project developed by London Bubble, in a creative partnership with the Hiroshima Peace Museum and theatres in Japan. 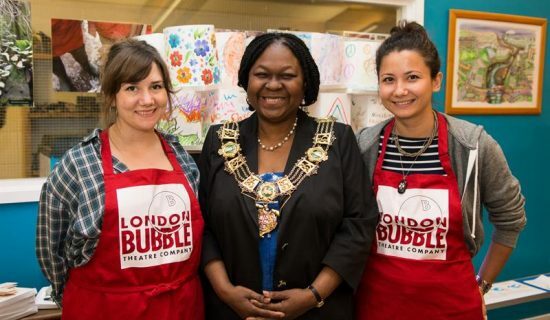 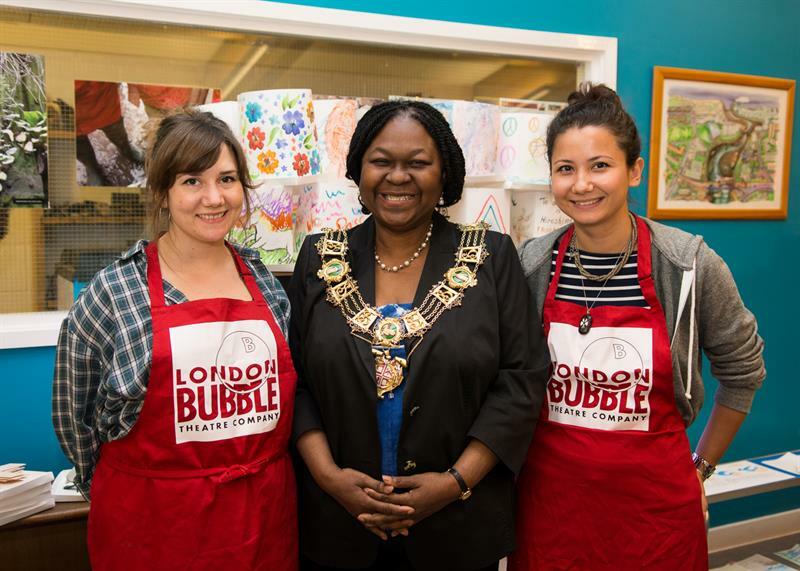 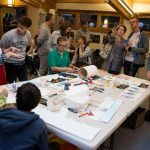 Jonathan Petherbridge, London Bubble said, “Hiroshima Dispersed has connected a chain of small local companies, who have worked with their various communities in different parts of the world. 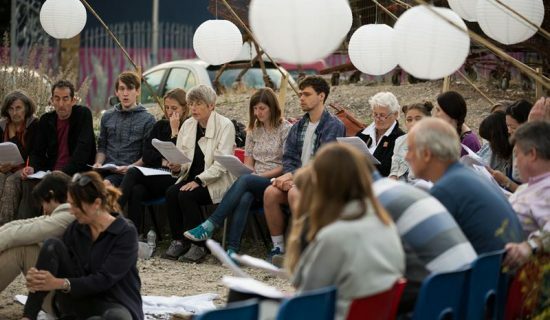 It seems an appropriate way to share the important story of Hiroshima – a story many young people know little about – working at a human level on a live reading of words gathered from the elders of Hiroshima who, as they say in Japan, “met the bomb”.